I thought I would have time to blog in the US since I was spending 2 weeks here. That obviously didn't happen since I'm only blogging now. During my first week I was so badly jetlagged I just used whatever energy I had to make sure I was up and lucid during our summit (a.k.a. trying not to look like a zombie). I would wake up so early I'd do my Asia-related work during the wee hours of the morning so I wouldn't be behind with my mail. Things go really bad by lunchtime and it took every drop of caffeine I drank from the coffee to stay awake. I was happy to meet my new team-mates and glad that to see the other half of my team again. Being alone in the region all these years (and well in the Philippines before) can get really sad. To not feel so homesick I then collected hugs! I managed to clock in 12 hours of sleep Friday night, Saturday trip to SFO though was cancelled so Philip and I just went to our favorite place, the gigantic Great Mall in Milpitas! That place is dangerous since you could really go broke. 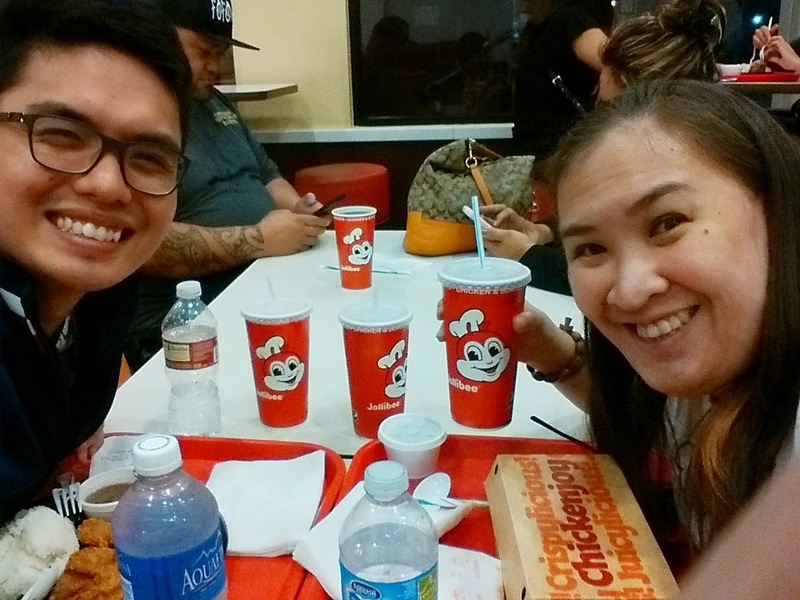 Ate some merienda at Chipotle, shopped more and capped the evening by eating at Jollibee! On Sunday I met up with my good friend, Rey, who I have not seen for 16 years now! We both got so busy with work and well he moved here (and well aren't we all bad staying in touch after college?). We went to hear mass, eat lunch at a Mexican place and bored Philip to death with our college stories. I was planning to see another college friend, but then I injured myself -- scratched my leg on the trash can! Grrrrrr! 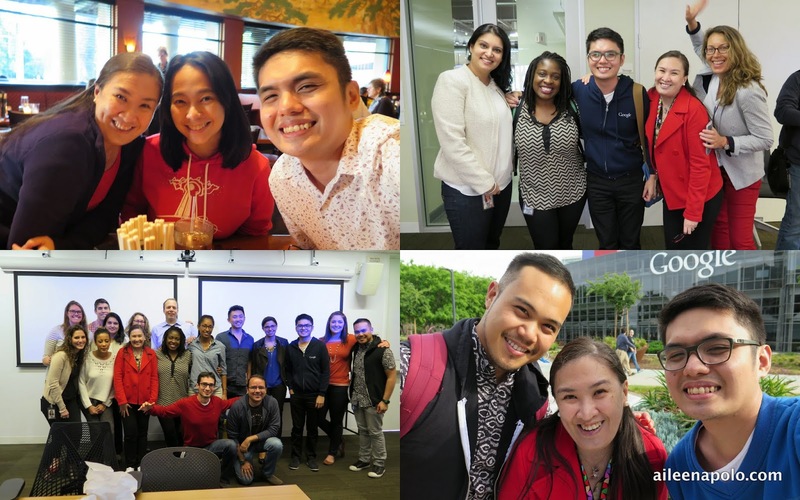 As always my second week at the mothership got busier with meetings, catching up with fellow Pinoys, more meetings and trainings. By Tuesday my head was already spinning with too much information, but all is well and I would just take late afternoon walks around my hotel (yes... to the nearest Target! Haha). My luggage is now full of too much chocolate! I just kept remembering friends and would go back to buy more chocolates (very, very bad stress relief activity!). Anyway, I ended up buying a new bag because of that (hmph). 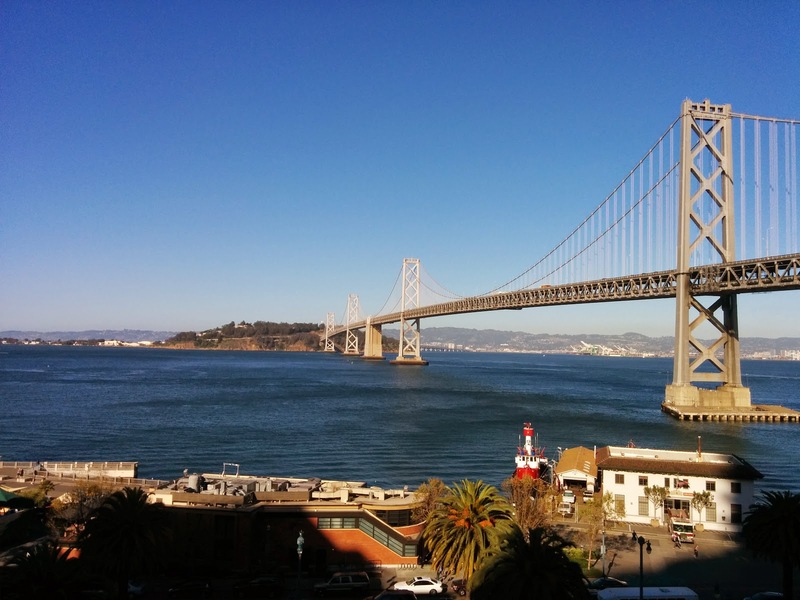 I spent my last night in the US in San Francisco and just working out of the SF office. I'm glad I also finally met Fumi in person and she was so nice to walk me back to my hotel on her way to the train. I also managed to squeeze in some time to meet a childhood friend -- Maan (he now calls himself Marnie!). He made sure I ate some good ol' American burger and walked me around Embarcadero which talking about our crazy teenage years! My trip ends tonight and I'm finally going back home! I've been away from my boys too long and I seriously need family time before I head back to my assigned ship in Singapore. And no, I am not leaving my heart in San Francisco because it's in Manila.